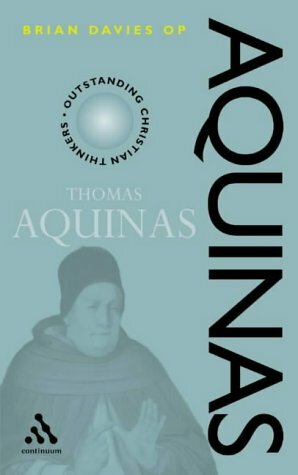 I know that most of you read the title and didn’t think, “I have to know more.” Most of you have never read anything by Thomas Aquinas, and you probably haven’t heard of Brian Davies. But I hope you’ll read the lengthy quote that I include in this blog post. Why? Because Brian Davies discusses a need in theology discussions for clearer and more precise thinking. He thinks that Aquinas’s greatest achievement was to marry theology to philosophy. I want you to pay attention to Davies’ point that the clarity of argument and thinking in philosophy can be beneficial in theology. I don’t have the exposure to either academic philosophy or academic theology to make a sweeping claim. I can only speak of my experience being around people with undergraduate and graduate degrees in philosophy and theology. But people I know with degrees in theology (whether at the undergraduate or graduate level) are often better informed about theology than my friends with philosophy degrees, but they tend not to think as carefully and precisely as those with philosophy training. I don’t think it is an issue of intelligence, but, rather, one of training. Much of my education in philosophy involved looking at positions and the arguments for those positions, and then thinking deeply about both. We learned to identify logical fallacies and look for inconsistencies with other aspects of a particular position. I’m grateful for the many years that I studied philosophy, because I believe it has equipped me to think more clearly and carefully about arguments and intellectual positions. And that clarity is enormously beneficial for me as I continue my education in theology. 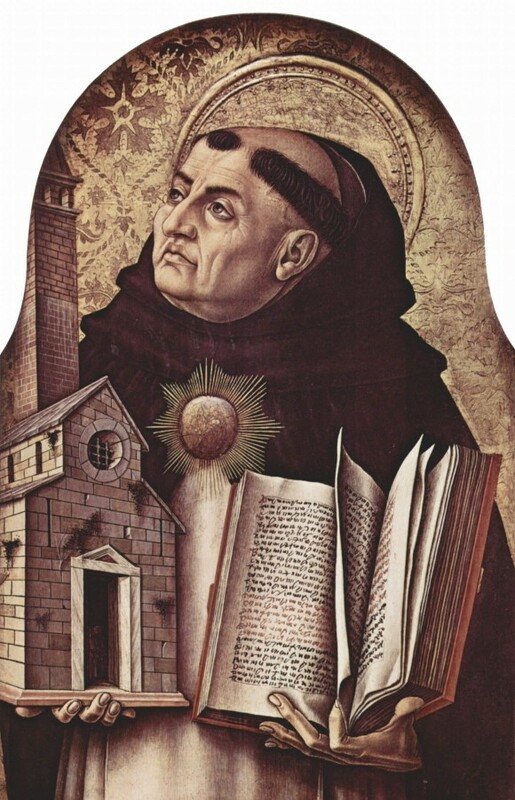 “If asked to say in a sentence what Aquinas’s greatest achievement was, I would reply that he showed the need for theology to be married to philosophy…. Yet there is no reason to suppose that Aquinas disagrees with St Paul when it comes to wisdom and folly….Only ignorance of Aquinas’s writings could lead one to castigate him for thinking that philosophy is superior to revelation. But Aquinas does not believe that philosophy is irrelevant from the viewpoint of theology. As we have seen, he is no hard rationalist….But he is equally convinced that Christians can only benefit from good philosophical reflection. And that is surely what he has to believe if he is to be taken seriously as a Christian thinker. For Christian thinking can hardly be important if it is esoteric, self-enclosed, and unconnected with what we can know to be true. It must surely engage with life and the world as we can understand them even apart from revelation…. [T]ruth cannot contradict truth. And Aquinas’s greatest achievement lies in his attempts to explore the implications of this fact with an eye on Christian doctrine…. Yet Aquinas also rightly thought that Christian theologians need philosophical reflection even when it comes to what God has revealed. You might suppose that, as long as you start with, say, the Bible and the Councils of the Church, you cannot go wrong. But you might, of course, go terribly wrong. People who start with true premises can reason very badly on the basis of them and thus go from truth to error. Being right at the outset does not guarantee that one will be teaching correctly as one continues. But how is one to determine whether true premises are being used to erroneous effect? As far as I can see, the only possible answer is ‘clear and rigorous philosophical thinking’. Serious theological reflection on Christian truth can never distance itself from philosophy. One might reasonably reply that ‘philosophy’ is not easily definable and that people we now call philosophers have taught many different and conflicting things, some of which are plainly incompatible with Christian doctrine. But philosophers are typically people who try to think clearly: they typically seek to argue on the basis of reason. Confronted by an argument, they are fond of asking whether its premises entail its conclusion. They also have a habit of trying to evaluate premises. ‘Does it make sense to say this?’ ‘Is it unreasonable to believe that?’ These are just the sort of questions which one can expect a philosopher to raise, and they are ones which theologians ignore at their peril even if it is true that they are expounding a teaching which is not based on human reasoning….Aquinas saw this point very clearly, and I take this to be a reason why contemporary theologians and those interested in theology should pay some attention to him. Let me end with this: set aside some time during the day for the next month and patiently read Aquinas. Find a cheap selection of his writings, and slowly read him and think about his distinctions, arguments, and positions. You will not agree with him on many, many issues, but you will be helped by the carefulness, clarity, and comprehensiveness of his thinking.